Welcome to Anemometry Specialists, Inc. Welcome to Anemometry Specialists. Based out of Alta, Iowa, we can fulfill all of your wind resource assessment needs. With over 110 years of combined experience constructing and maintaining wind test towers, in virtually any terrain or weather conditions, we have the experience to do the job right the first time. Anemometry Specialists has installed over 2,100 guyed Met towers in heights up to 100 Meters. Each met tower installation is thoroughly planned and supervised. Anemometry Specialists is a wind energy assessment company. 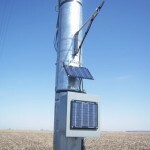 We provide met tower installation, SODAR installation, and tower maintenance. 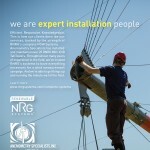 Anemometry Specialists has been working with the major equipment providers in the industry for over 12 years. These relationships make it possible for us to provide our customers with competitive pricing and significant discounts. Anemometry Specialists stays involved in the issues and politics affecting the wind industry. Visit our latest news page to learn more. Anemometry Specialists takes the time to find the best and most reliable equipment for our customers. 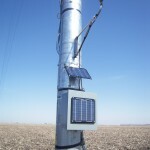 Here are some quality projects that Anemometry has installed for our customers.